In the last few years, we have seen an explosion of social media platforms and networking portals such as Facebook, Twitter, Instagram, and MySpace etc. Social media has become one of the most important connectivity tools in today’s age and time. The importance of social media businesses, in the process of growth and development, can never be understated. However, is everyone being as positively affected by social media, as businesses and enterprises? In this fast paced technology controlled era, the kids cherish this hi-tech and modern way of staying connected with people, across the face of the earth, more than anyone else. However, most parents might not be properly aware of the affects, social media might be having on their children’s social skills. Here is a list of some of the most common, yet apprehensive effects of social media, on the social skills of your kid. 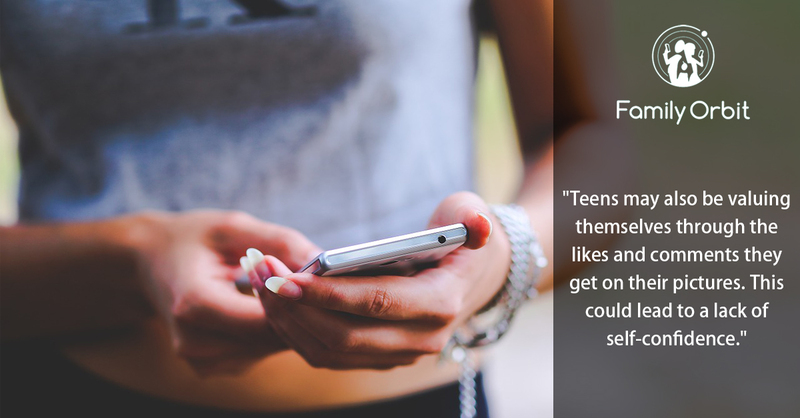 One of the biggest things kids face is a lack of self-confidence if they have molded their life around their social media profiles. These kids might have a low self-esteem and they may also be valuing themselves through the likes and comments they get on their pictures. This can result in a lack of self-assurance in the future. Kids who spend their whole day on social media platforms may consider their virtual relation as a substitute for real ones. This may deteriorate the behavioral habits of kids, which are needed for face-to-face contact with a real person and grow in to poor impersonal skills. Kids who spend hours on social media can be subjected to a lack of communicational skills in the real world. There are a dozen cases in which a person might be very good at communicating in the digital world, but face to face, the same person might fail to leave a positive impact on the other person. Not everyone can be famous for these social media platforms. This can cause kids to feel that they are not wanted and the feeling of being alone and unloved develops slowly in their hearts and minds. Moreover, these feelings of being unloved can turn kids towards illegal practices or breaking of norms and rules. One of the main things which parents can really do, to reduce the risks of social media on kid’s social skills is to curtail their own social media consumption at first. Kids usually do what they watch their elders doing. You have to make sure that you are leading by example. Parents need to teach children about the healthy usage of computer and social media. Most business-driven parents these days use their phones or laptops for hours. This can have a negative impact on their kids, and can only be prevented if parents lessen their social media usage. Social media may be one of the vital tools of staying connected for businesses, as well as individuals. However, if used inefficiently, social media can cause a noticeable damage to the social skills of your children. Hence, make sure that your children are using these platforms for a healthy, productive and creative purpose.